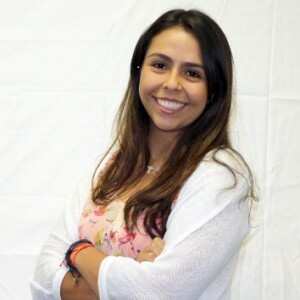 Recently one of our top students at TALK Fort Lauderdale wrote a piece especially for our newsletter Schools focus on her experience of learning English at the school. Maria Angelica Altahona Sanchez’s written essay tells us much about how committed she was to learning English and how successful the course proved to be for her. “Learning a new language is not easy at all, and it gets more difficult when you move to a country where you must know how to speak the language. I came here one year ago, I noticed that my English was not good enough so I decided to find an English course. After a lot of searching, I finally found Talk School. I chose this school because it had good reviews on the internet, great central location, connections with prestigious universities around and also the vibes is something that you can feel at the first moment you arrive at a place. 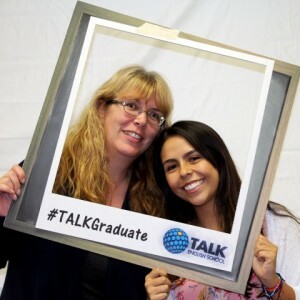 Talk school is in Fort Lauderdale city which is one of the most popular cities in Florida. This city has an incredible weather. There are important universities, restaurants and supermarkets around. Transportation easily accessible, which is an advantage for us because we can move everywhere. that they teach is impressive because they begin the class by analyzing their students. Then, they see their weakness and as soon as they can, they reinforce the topics. They give us confidence, support and understanding that are the most important qualities that teachers have to offer to their students. The director plays an important role in my English development, she is an amazing and remarkable person. She not only gives the best advice to her students if they meet with issues or particular problems learning English, but she also helps us if we have a personal issue. She plays an adviser role in different aspects, as well as in the school. However, I cannot forget the staff who work there .They are the nicest and most generous people that I have ever met, these people help you all the time even if they are very busy. I felt like I was in my home country.